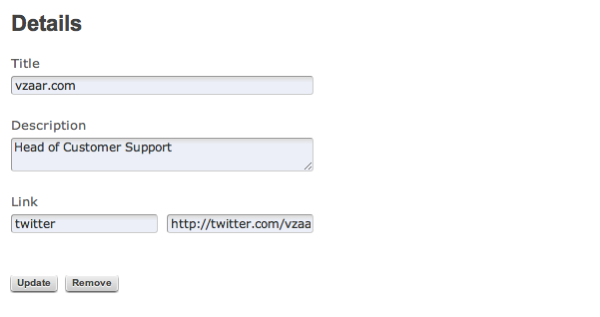 If you're logged in to vzaar, you can go straight to your Branded Video Page settings and start editing. 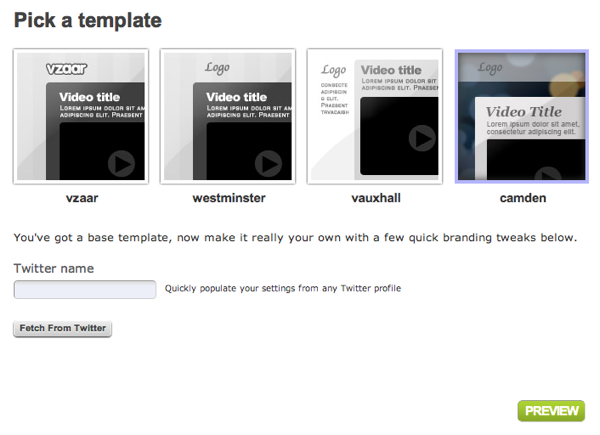 We currently offer three customizable templates that you can choose from: 'westminster', 'vauxhall', and 'camden'. As with all of the options on this page, you can easily preview your current settings at any point. At this point you can add your company name, a brief description, and a link. All of these details are optional. As with all of the following sections, don't forget to click 'update' to save your details. 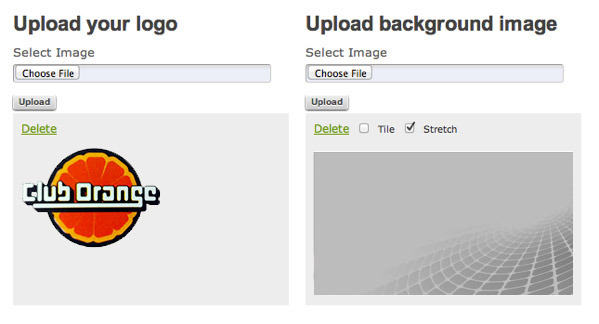 In this section you can upload a logo and background image. If you want your logo image to blend seamlessly with the background, it's best to save it as a .png file with transparency. You can choose to either tile or stretch the background. If you have a large image, then 'stretch' is the best option, whereas 'tile' works better if it's a repeating image such as the ones found on subtle patterns. Next, you'll need to pick out your color scheme. 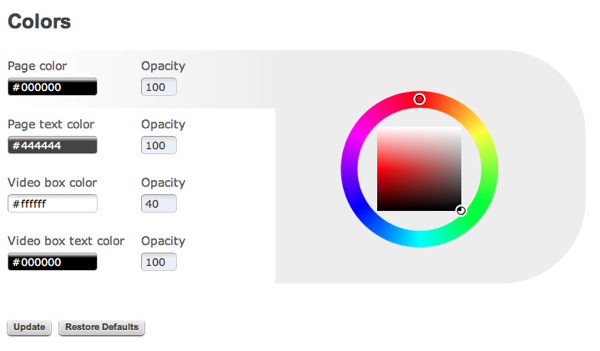 You can either use the color picker or enter hex values if you know the specific color you're after. You can also set the opacity level, from 0 (transparent) to 100 (opaque). 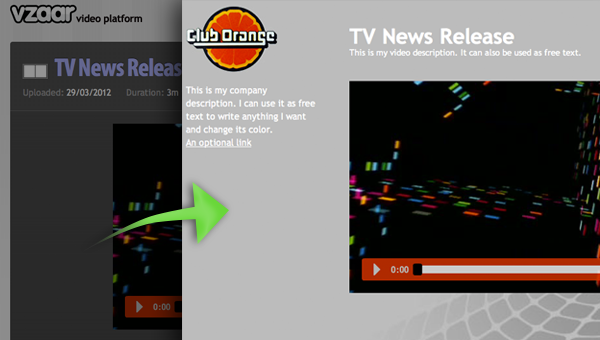 Now, anyone who visits one of your public video pages will see your branded video page instead. Click the image below to see it in action! Where can I find my public URL? If you have videos on vzaar and they're not set as private, then every single one has its own unique URL that you can share so people can watch your videos. Now you have the option to customize the look of these pages so that they closely match your own branding. You can use the standard URL, or the short URL (great for Twitter), which can be found on any of your individual video pages, to the right of the embed code. Is vzaar planning on adding White Label features? Yes! 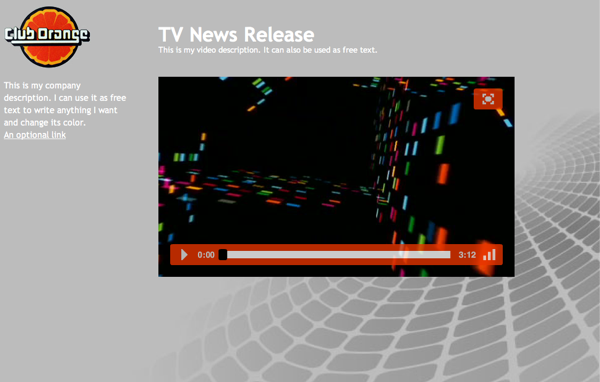 We've got lots in the pipeline for Branded Video Pages, so keep an eye out.